Pets are like family. And for anyone who has lived with an animal, we know that losing one can be incredibly painful. But a Japanese artist who goes by the name Wakuneco helps cat-owners cope with that loss by creating realistic, three-dimensional felt portraits of their adorable kitty. 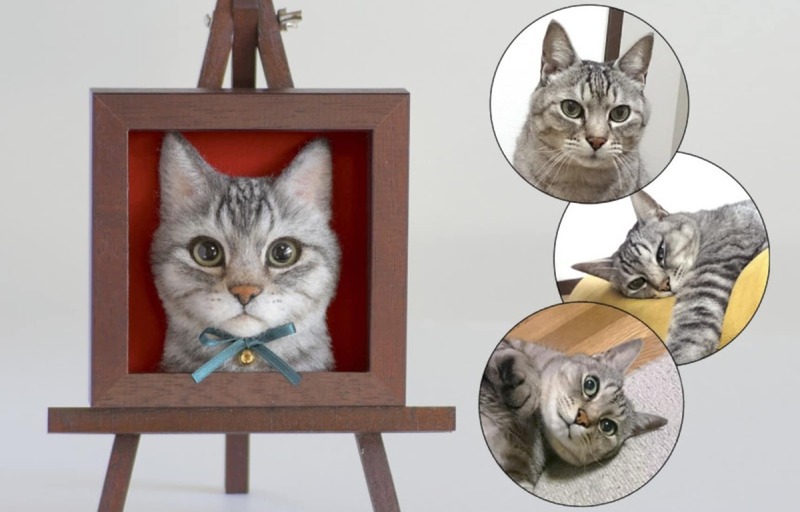 Wakuneco translates to “frame cat,” and is a custom-order service in which the artist will recreate your cat in loving, ultra-realistic detail. The framed busts are based on photographs provided by the owner. And although the service isn’t necessarily tailored towards owners who have lost their cat, many clients have turned to Wakuneco as a means of coping. Wakuneco offers her services through Yahoo Auction but is currently only set up to handle customers in Japan. She has noted that she would like to begin taking international orders too in the near future. You can follow her on Twitter and Instagram, as well as on YouTube where she posts many process videos. For a look at even more heartfelt animal portraits, read the original article from our friends at Spoon & Tamago via the link below.